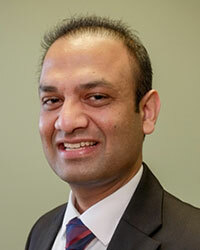 Alok Kumar, MD, is the Medical Director of NeuroPsych Wellness Center, PC. He earned his medical degree at Dayanand Medical College in India. He completed his residency at the University of Texas Medical Branch, Department of Psychiatry, Galveston, Texas. He then completed his Geriatric Fellowship at the University of Virginia in Charlottesville. 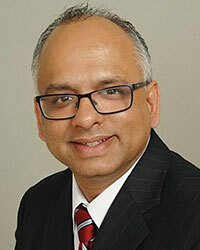 Dr. Kumar is licensed in the State of Virginia and a Diplomate of the American Board of Psychiatry and Neurology. He provides clinical treatment services in both inpatient and outpatient settings. Dr. Kumar provides TMS Therapy through Greenbrook TMS, where he serves as the Medical Director for Greenbrook TMS’ Fairfax Center. He also supervises students at Dominion Hospital. Dr. Kumar has received the NOVA Top Doctor award in 2014, 2015, and 2016. Vikas Mangewala, MD is a practicing child Psychiatrist in Northern Virginia. 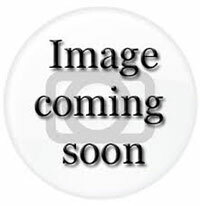 Dr. Mangewala attended Dayanand Medical College and school in India. He completed a residency in psychiatry and fellowship in child & adolescent psychiatry at University of Toledo Medical Center. Dr. Mangewala was awarded with outstanding resident service award at university of Toledo in department of psychiatry 2015 – 2016. Along with his caring nature he is very knowledgeable psychiatrist. Dr. Mangewla was awarded with The William J. Lenz,MD Memorial award for his excellence in psychiatry. Dr. Mangewala is part of NeuroPsych Wellness Center, PC since August, 2017. Dr. Mangewala also works at Dominion Hospital to treat patients in the inpatient setting. In addition to English, Dr. Mangewala also speaks Hindi, Urdu and Punjabi languages. He is member of American psychiatric association. 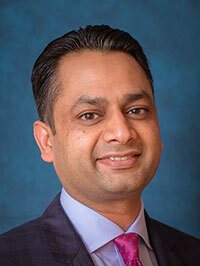 Harish Goyal, MD, is an attentive and qualified psychiatrist serving the community of Fairfax, VA. Dr. Goyal attended Government Medical College in India, where he received his medical degree, and completed his residency in psychiatry at the University of North Dakota. Dr. Goyal is a part of NeuroPsych Wellness Center, PC since April, 2017 and is board certified in psychiatry by the American Board of Psychiatry and Neurology. He welcomes patients who speak English, Hindi, and Punjabi. His awareness of these different languages makes him accessible to patients from a variety of cultural backgrounds. He is a member of the American Psychiatric Association. Dr. Goyal is uncompromising in his dedication to the well-being of his patients. He is committed to giving the best care and establishing long-lasting relationships with them. Suzana Jones, Ph.D. is a licensed clinical psychologist with licenses in Virginia, the District of Columbia and California. She received her Bachelor of Liberal Arts in psychology from the University of Illinois in Urbana-Champaign. 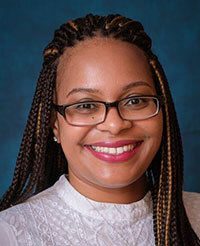 While completing her Bachelor’s degree Dr. Jones realized that helping people was ingrained in her nature; that being the case, she wanted to continue her higher education to bolster her intuition with a scientific basis. Thus, she continued her education and earned a Master’s degree in psychology from Angelo State University in Texas. Being an education enthusiast and having a curious nature, Dr. Jones wanted more; therefore, she continued to study and challenge herself to ultimately achieve a Ph.D. in Clinical Psychology from Walden University, Minnesota. Dr. Jones is educated and trained to implement various types of therapy to include hypnosis. Her approach to therapy is practical, down-to-earth, and solution-oriented. She is authentic, warm and empathic and patients instantaneously feel connected, cared for and never judged. Dr. Jones tailors evidence-based therapy for each patient, believing that not every therapy fits or is appropriate for every patient. Dr. Jones also believes that laughter and humor are very beneficial to patient health and therefore incorporates both in her therapy on a daily basis. Dr. Jones employs the following types of therapy: Cognitive Behavioral therapy (CBT), Dialectical Behavior therapy (DBT), Eye Movement Desensitization and Reprocessing Therapy (EMDR), Mindfulness-Based Cognitive Therapy (MCBT), Cognitive Processing Therapy, and Acceptance and Commitment Therapy (ACT). Dr. Jones is currently accepting new patients. 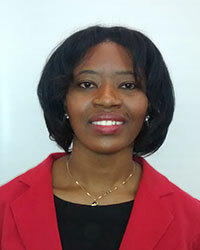 Grace Hipona, MC, NCC, ACS, CSAC, LPC is a licensed professional counselor for the State of Virginia. She received her Bachelor’s in Psychology & Sociology with a minor in Women’s Studies from Emory University, Atlanta, GA. She then got her Masters Degree in Professional Counseling from Georgia State University. Grace offers individual, couples, family and group counseling with over 10 years of experience. She also provides licensure supervision for graduates of Master of Counseling programs. Kristin Godfrey, M.Ed., MA, LPC is a licensed professional counselor in the state of Virginia. She received her Bachelor’s in Psychology from Chowan University in North Carolina. She then received a Master of Education in Counseling & Development: Community Agency Counseling from George Mason University followed by a Master of Arts in Human Services Counseling: Marriage & Family from Liberty University. Kristin offers individual, couples, family, and group therapy with 10 years of experience working in the behavioral healthcare field. Kristin’s counseling philosophy is a person centered, strength-based approach, emphasizing self-esteem, positive thinking, and personal resilience. She views that her role is to collaborate with and to assist clients with developing and achieving their goals in counseling. 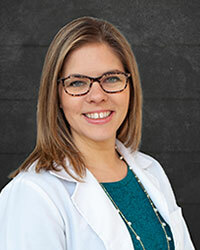 Suzanne Cox, PMHNP- BC is a board-certified psychiatric nurse practitioner who graduated from the University of South Carolina with her master of science degree. While studying, she became an adjunct professor at the University of South Carolina for 4 years. She has 14 years of psychiatric nursing experience working with children, adolescents, and young adults in inpatient, residential, and outpatient settings. Her expertise is diagnosing and treating individuals with depression, anxiety, PTSD, attention disorders and those dealing with life stressors. She provides psychiatric medication management, supportive, and relaxation therapy. She strives to understand each individual’s unique experiences, past and present, that contribute to current symptoms. She uses evidence-based practice as a guide for treatment. 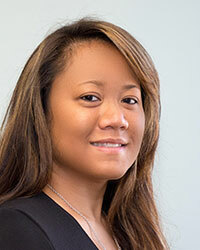 She is a licensed nurse practitioner in the state of Virginia and is a member of the International Society of Psychiatric Mental Health Nurses and the Virginia Council of Nurse Practitioners. In her free time, she enjoys biking, hiking and practicing yoga. Venise Darisme, M.A. NCC, LPC is a National Certified Counselor and Licensed Professional Counselor with NeuroPsych Wellness Center, P.C. She has a Master of Arts degree in Pastoral Clinical Mental Health Counseling from Marymount University. Her Bachelor of Science degree is in Psychology with a minor in Biology from Mount St. Mary’s University. Venise has been in the Human Services field for over 9 years. Over the years she has demonstrated herself to be a motivated professional with education, experience, and skills in Individual Counseling, eating disorder treatment, ABA therapy, parent training, education counseling, career counseling, play therapy, pastoral counseling-spiritual/religious struggles, grief and loss, multicultural issues, substance abuse, depression, and anxiety. Venise particularly enjoys working with children and families. She utilizes a person centered therapeutic approach while employing behavioral, cognitive-behavioral, creative arts, play, and existential techniques. She is overjoyed to be part of the NeuroPsych Wellness Center team. Abebayhu (Mimi) Tekalign is an empathetic and multi-cultural counselor who received her Bachelor’s in Psychology from George Mason University and her Master of Professional Counseling from Grand Canyon University. She provides individual counseling to children, adolescents and adults. Mimi uses an integrative therapy approach with a blend of Cognitive Behavioral Therapy (CBT), Solution Focused Brief Therapy (SFBT), Client-Centered Therapy, Mindfulness, Psychoeducation and Motivational Interview to bring about substantial changes and improve individuals’ life experiences. 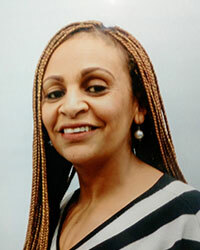 Christina Webster, LCSW is a licensed clinical social worker for the State of Virginia. She received her Bachelor of Social Work from The College of Brockport, State University of New York. During her time in Brockport, she interned at a nursing home where she was able to emotionally support the elderly population. She then received her Master of Social Work from Binghamton University – State University of New York. She interned at an outpatient mental health service serving the adult population and became a full-time employee. Christina provides psychotherapy and CBT services. She uses a person-centered model with eclectic therapeutic approaches that have helped manage depression, anxiety, PTSD, Bipolar Disorder, Personality Disorders, Schizophrenia, and other mental health issues. It is her passion to help her clients sort through their emotional challenges and explore the best therapeutic approach to help resolve their issues. She is here to be your listening ear, empower and motivate you in order to achieve your mental health goals. She is currently accepting new patients, 16 and older and is in-network with Medicare and BCBS plans.